How's your summer guys? Here's my way of ending it. 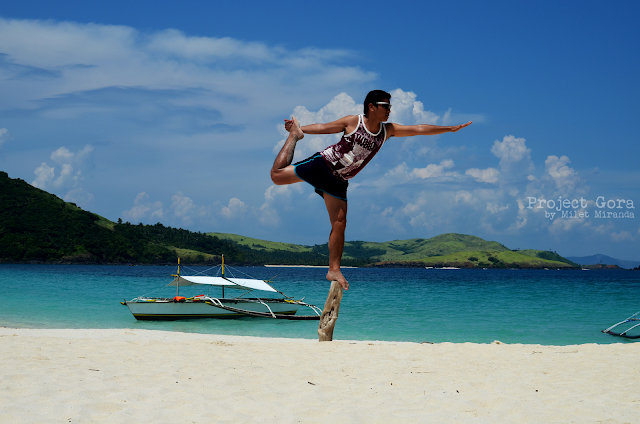 Enjoy the videos I compiled from our recent trip to Calaguas. We took several underwater videos but I opted not to include most of it. The reason is I look edematous and I don't want to be a laughing stock. Hahaha. Super thanks to our contact person in Calaguas, Mang Boy. To our very reliable boatman Kuya Joseph. This trip would not be possible without you guys! Calaguas is not a single island. 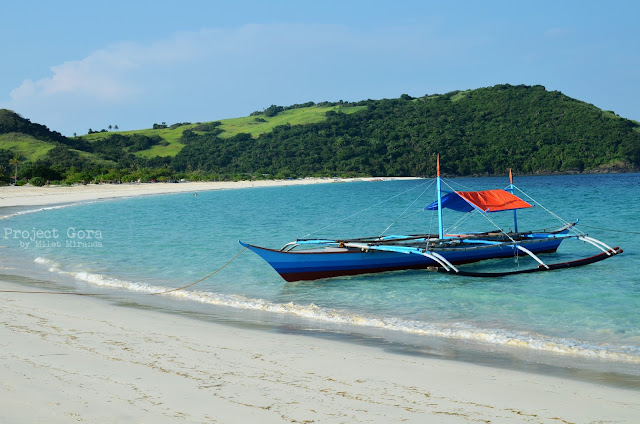 What most people know as Calaguas is the 1.2 km long stretched white beach of Mahabang Buhangin located in Tinaga Island. 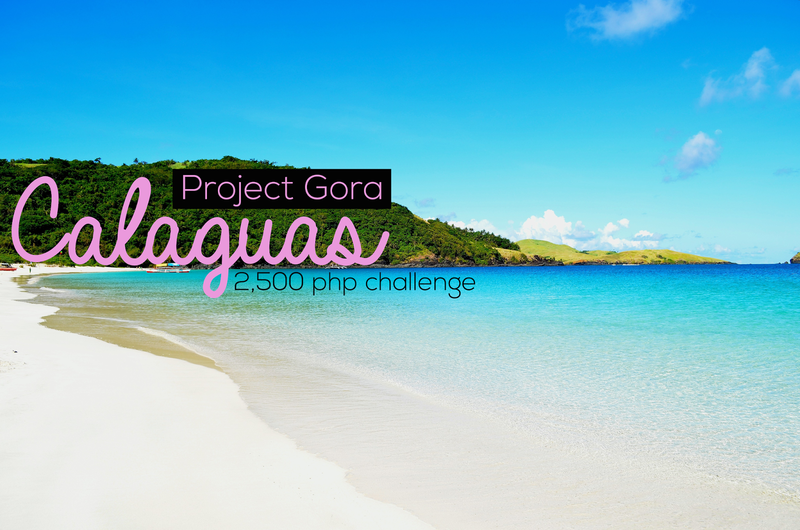 Calaguas is a group of Islands and islets in the province of Camarines Norte, Philippines. Tinaga Island is among the major ones along with Guintinua Island. Maculabo Island is among the minor ones. Mahabang Buhangin was completely deserted back then, but because of its growing popularity, more and more tourists are being attracted despite the absence of accommodation. Probably the easiest and the cheapest way to get to Calaguas is via Paracale. If you are coming from Manila, Superlines has daily trips to Paracale/Panganiban. Get off at Paracale and walk towards the fish port. One way air con bus fare is 515 PHP (as of February 2015). Travel time is approximately 8-9 hours. It is best to contact a boatman prior to your trip. I highly recommend Mang Boy (09085460683) and Mang Joseph (09302464352). 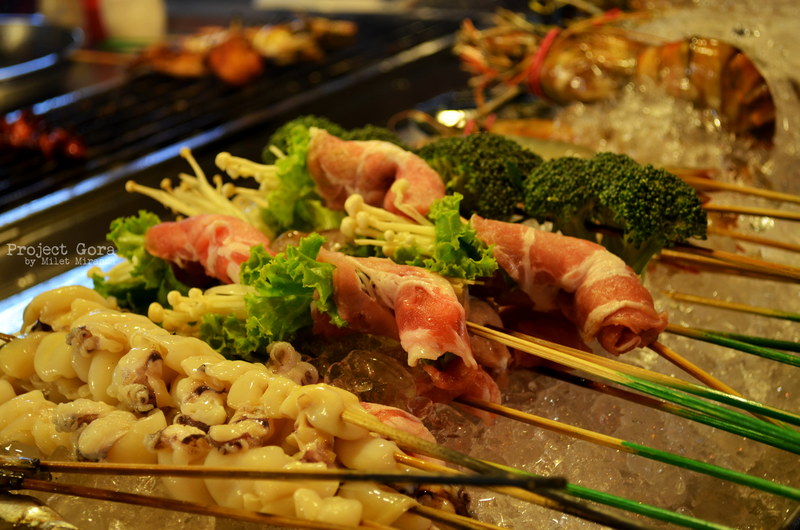 Alternatively, you can go directly to the fish port where tons of fishing boats can be rented. It is a two hour boat ride from the port. Ride a bus from Cubao/Pasay to Daet. Superlines, Philtranco, Amihan, and DLTB offer daily trips to Daet. Travel time is approximately 7-8 hours. 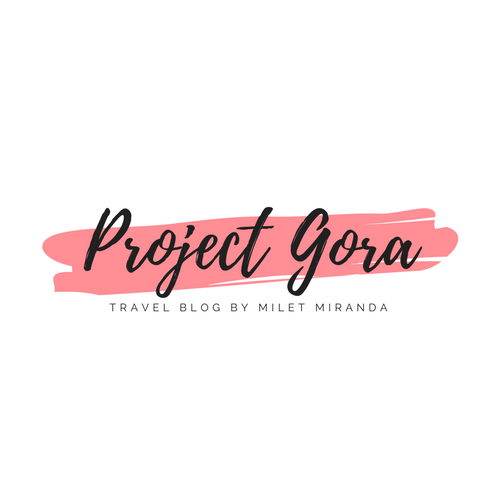 From Daet, catch a jeepney to Vinzons and get off at the fish port. You can hire a boat from there to Calaguas. The thing is, you will battle the mad waves of the pacific for about 3-4 hours. 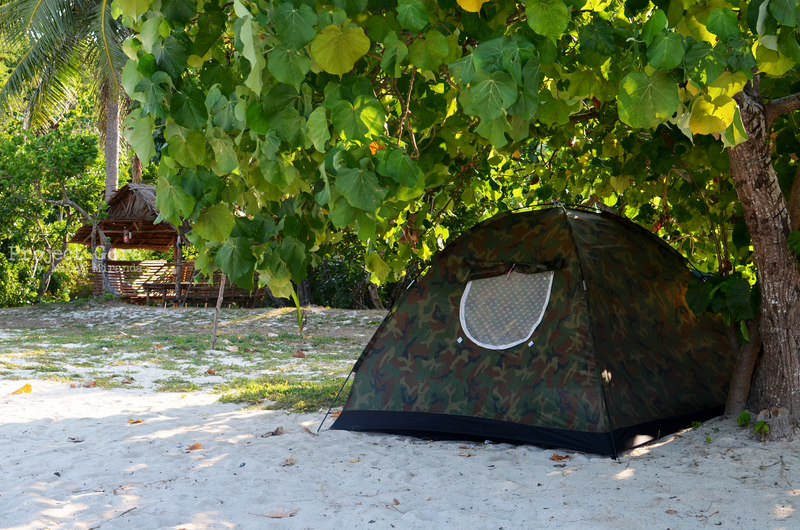 You're free to pitch a tent and stay the night. If you don't have a tent, most boatmen are now renting out for about 300 php per night. Alternatively, you can stay in one of the little beach-side cottages for a minimal fee of 350 php per day. This is a 2D/1N itinerary if you are coming from Manila. Length of time to travel by boat may vary depending on weather conditions. It's like a big swimming pool! 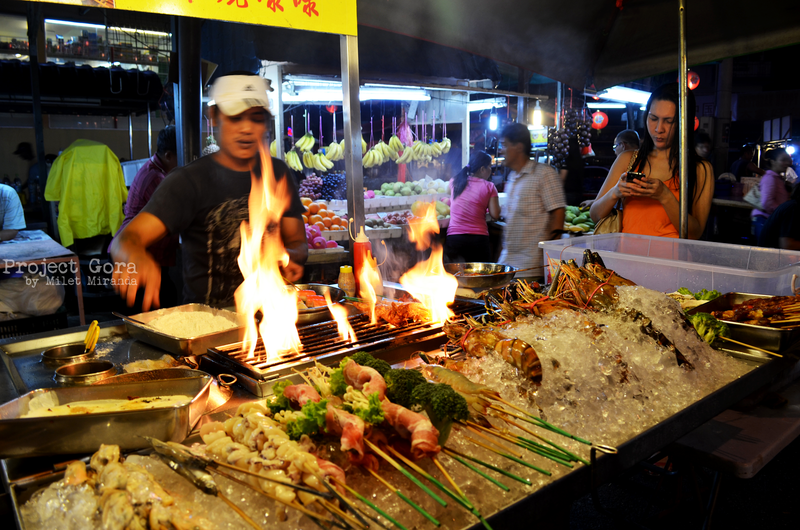 - The drop off point of Superlines in Paracale is the Malayan Tourist Inn. It has a mini store and a mini Karinderya. It is open 24 hours a day so don't be afraid if you arrive early. - Boat rentals depend on the number of people. We paid 5,000 php for the boat which can accommodate 10 pax. The boat rental can also include island hopping. - Mang Boy is a boatman but currently, he acts as a contact person. If you are availing his service, don't be surprised if you will be introduced to another boatman usually his relatives. - There is no electricity in the island. Some areas use generator which is only available from 6 PM to 10 PM. Don't forget to bring head lamps, flash lights and gas lamps. 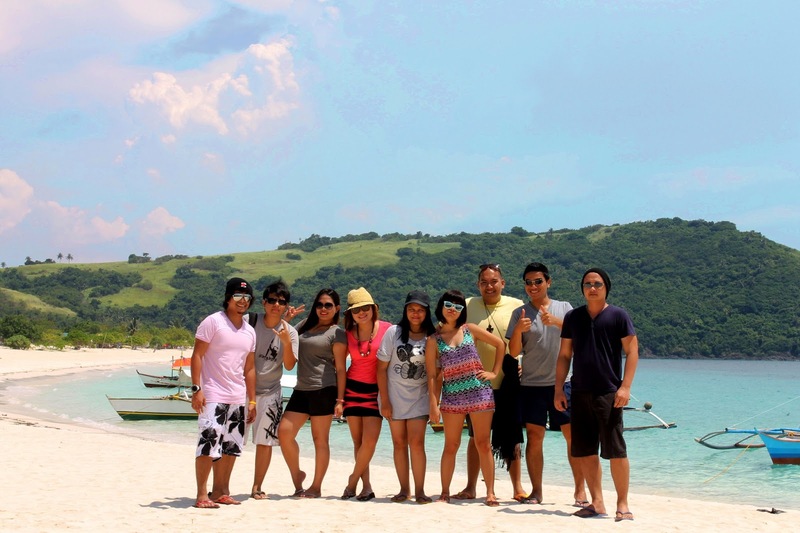 - The first time we went to Calaguas (May 2013), we stayed at the far right corner of the island. The entrance fee back then is 150 php per pax. According to Mang Baste, brother of Mang Boy, the entrance fee is still the same. The best thing in that area is the unli water! - The 20 php barangay fee is now being collected at the fish port. 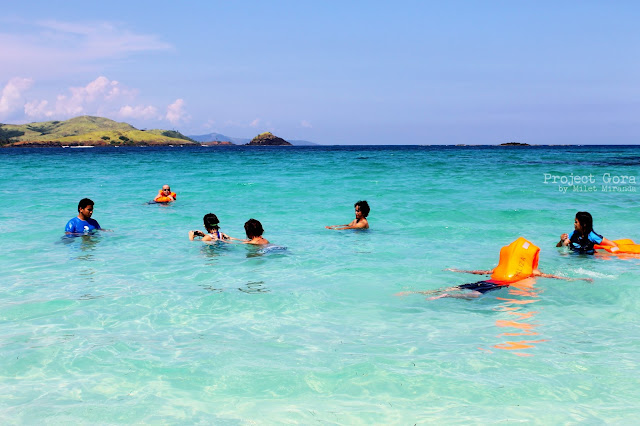 - The best time to go to Calaguas is during summer months (March-May). Expect the influx of tourists during weekend, so better schedule your trip on weekdays. 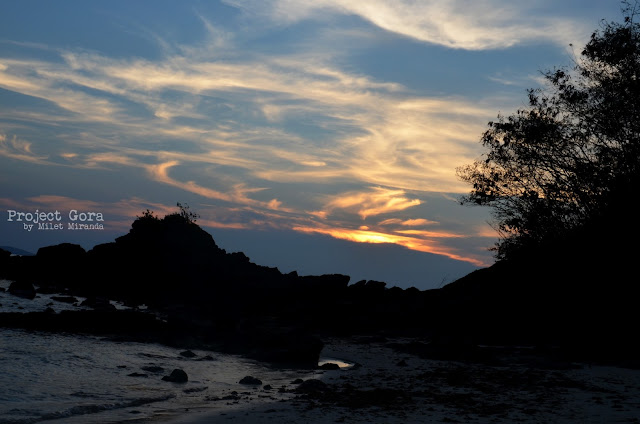 Our Southern Thailand and Peninsular Malaysia adventure started on April 7, 2013. It was a hot Sunday morning when we traveled by bus to Clark, Pampanga. The scheduled flight to Kuala Lumpur was at 11:05 AM, so we had to be at the airport by 9 AM. 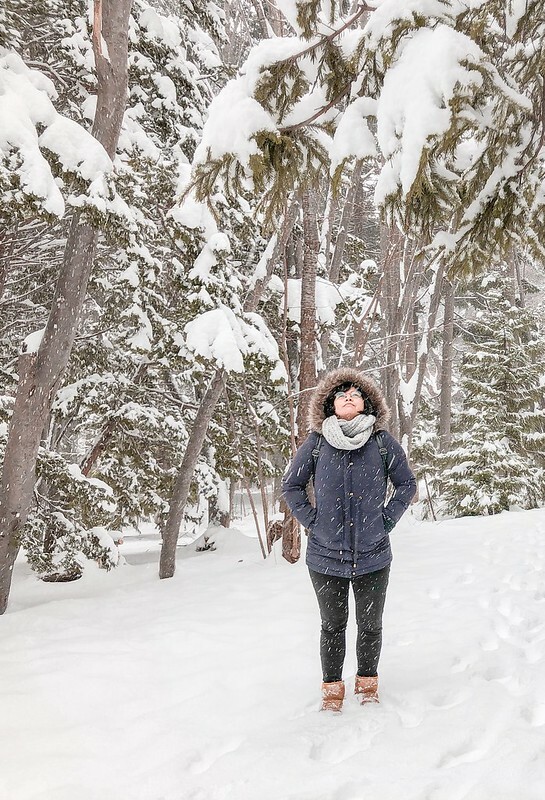 I was a bit nervous because it would be my first out of country travel. 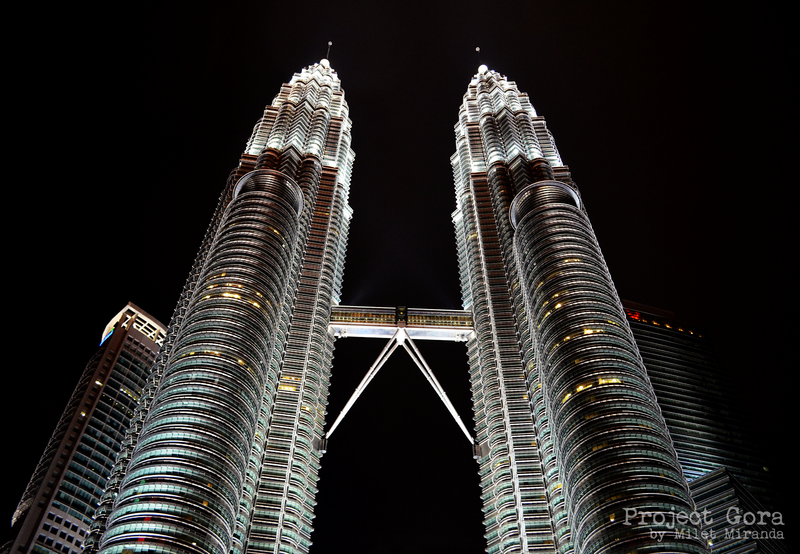 The flight duration from Clark to Kuala Lumpur is approximately 4 hours. It was my longest plane ride thus far. I dozzed off several times, but I was awaken because other passengers are so loud. When we landed, we immediately went to the immmigration. Good thing the immigration officer did not ask any questions. We went out of LCCT right away and boarded the Star Shuttle going to Puduraya Bus Station. It took two hours to get to Puduraya from KLIA-LCCT. I did not mind the long journey because I was asleep the whole time. I woke up when we were already in KL Sentral. The excitement takes over my jaded brain. 'Yes, I am in Malaysia now' I muttered to myself. Since we are all first timers in KL, we didn't know exactly where do we need to get off. What we know is the Mayview Glory Hotel, where we stayed for two days, is located in Jalan Pudu Lama near Puduraya. We got off Puduraya and we looked around for a moment. 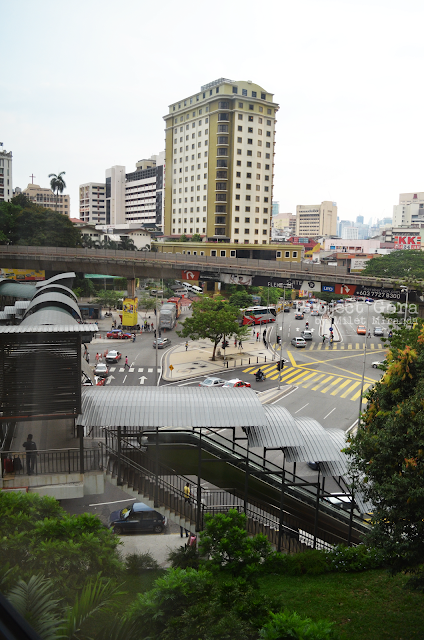 Lo and behold, I saw the hotel just beside Maybank. I'm glad it didn't take long to find the hotel. The location is just perfect! We were welcomed by a very nice receptionist. After we had our keys, we went to our room right away. We freshen up a bit and arranged our baggage. 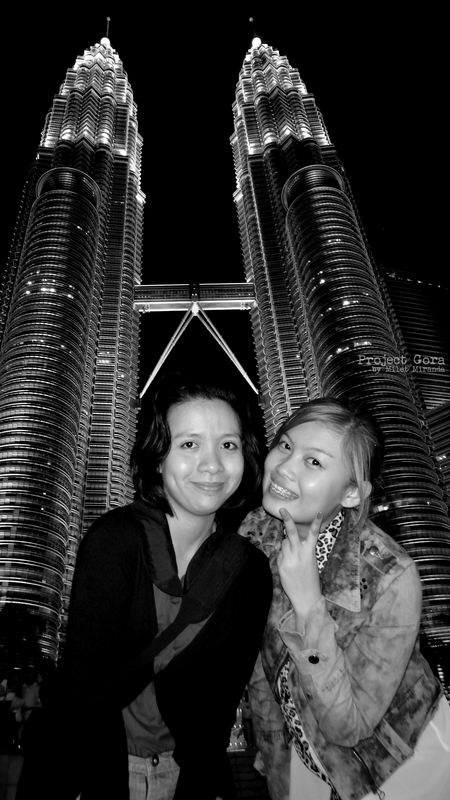 After an hour or two, we headed to our first destination, which is the Petronas Towers. ﻿They say you haven't really been to Kuala Lumpur if you missed the Petronas Towers Towers. But it is unlikely because of its hugeness. The best time to go here is at night time so you could see the fancy lights. 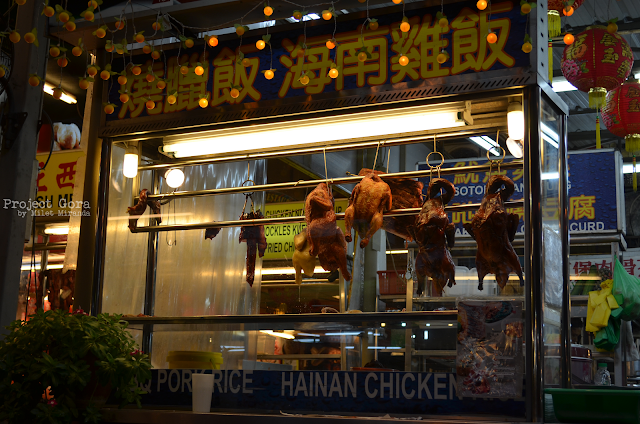 After the obligatory twin tower snapshots, we headed to Jalan Alor for the much awaited gastronomic hunt. I was expecting a street full of Malay cuisine, but to my surprise it was mostly chinese restaurants. 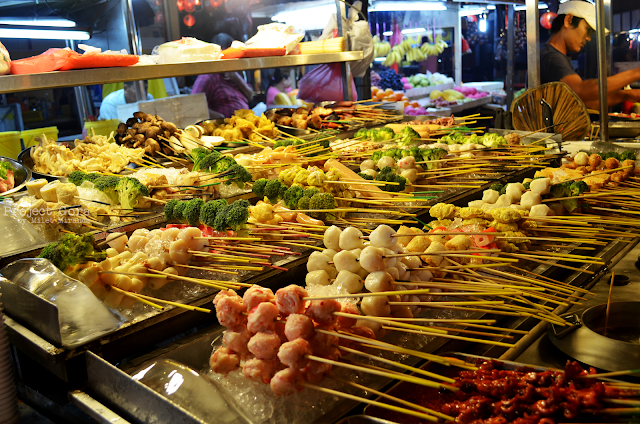 There were so many food stalls, and it was no easy to choose among them. We ended up in a chinese noodle house. Full but exhausted, we went back to the hotel past midnight. I drifted off to sleep as soon as I reached the bed. Whew! It was certainly a long day. Gorgeous it is, secluded it isn't. 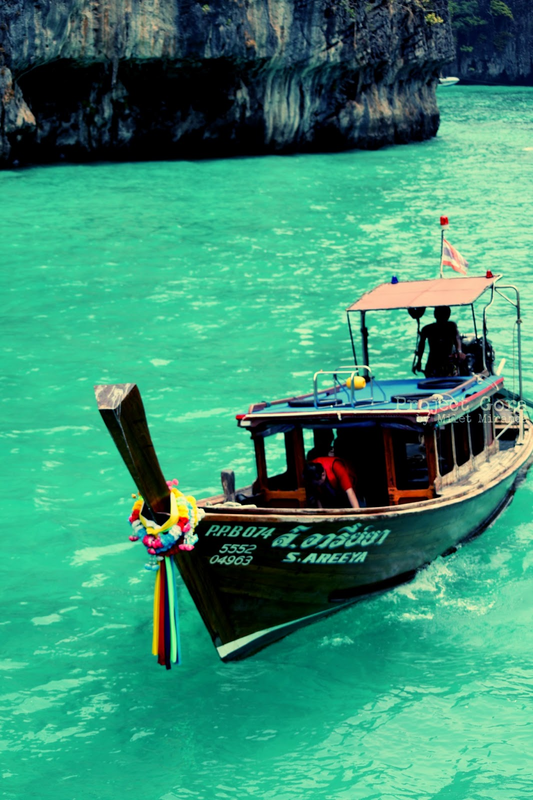 Hundreds of long tail boats and ferry boats carry thousands of people to see the famous Maya Bay each day at any time. It became the main attraction of Koh Phi Phi since The Beach was filmed here in 1999. Contrary to what most people know, the novelist Alex Garland took the inspiration of 'The Beach' from the beaches of El Nido, Palawan. I honestly don't want to compare it to Palawan, but oh well, it can't be helped. Filipinos have very high standards when it comes to Beaches. And I know you will agree with me if I say we have the best beaches. But I will save the comparison between El Nido and Maya Bay. My trip to the former will be on August so watch out for that. It is included in my bucket list so I will create a detailed comparison. 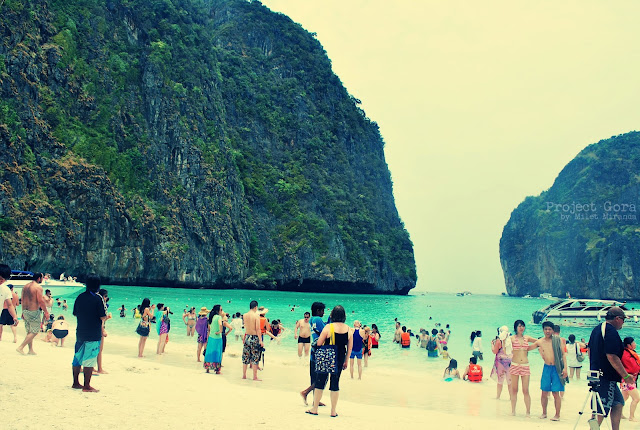 For now, I'll show you the most popular beach of Koh Phi Phi Leh - Maya Bay. 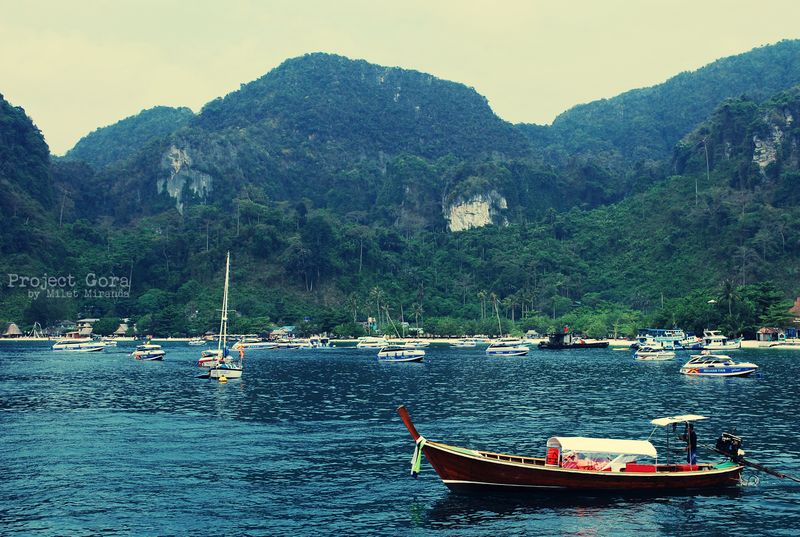 It was our second day in Koh Phi Phi Don when we availed a whole day tour of Maya bay and the rest of Koh Phi Phi. 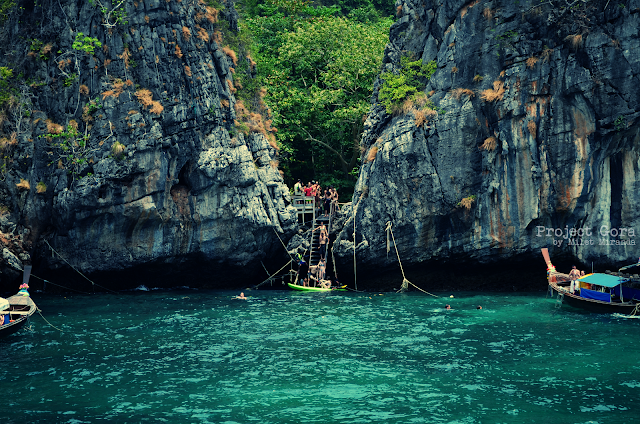 The tour consists of ferry boat rental, snacks and meal, and snorkel set fee. The highlight of the tour was Maya Bay where we stayed for two hours. Our ferry boat is quite big, so we had to go to the rocky side of the beach. The thing is the boat cannot dock on that side, so it's either you use the kayak or swim to get to the beach. I chose the latter. It was fun and scary at the same time. I remember that exciting scene in the movie when Richard, Francois and Etienne swim in order to get to the island. Cliche I know! I can't seem to catch my breath when I reached the stairs. I didn't expect the current would be too strong. I thought I would drown. We rested for a while then we walked towards to beach. 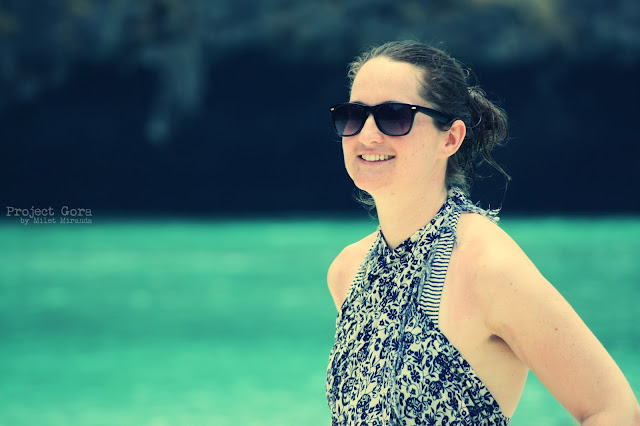 After about 10 minutes, we were welcomed by the stunning limestone cliffs, white sandy beach, warm turquoise water and cavernous scenery. Wow! This is the beach. It was like the scene in the movie minus the crowd and boats anchored in the shore. Two hours were spent camwhoring and people watching. It was hard to get a decent photograph. You see the crowd? I was pissed I couldn't help but shoo them away. It is nearly impossible to get a perfect photo that would showcase the cliffs, water and fine beach sands. After two hours, we went back to the ferry boat. If only we could stay longer, I could have slept under the sun. 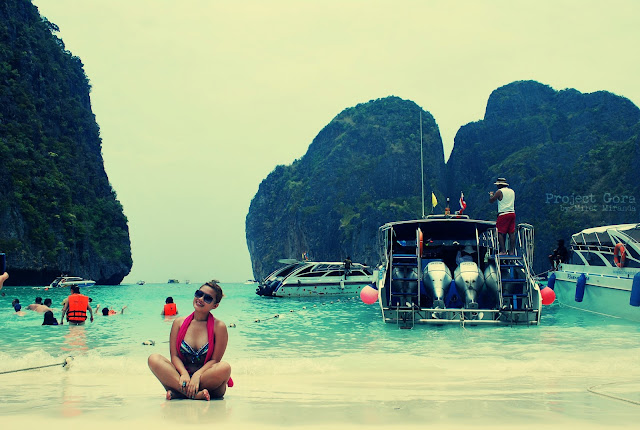 But I was glad I witnessed Maya Bay's grandeur under the perfect weather. It could have been better if it's not too crowded and there's not too many boats anchored in the shore. 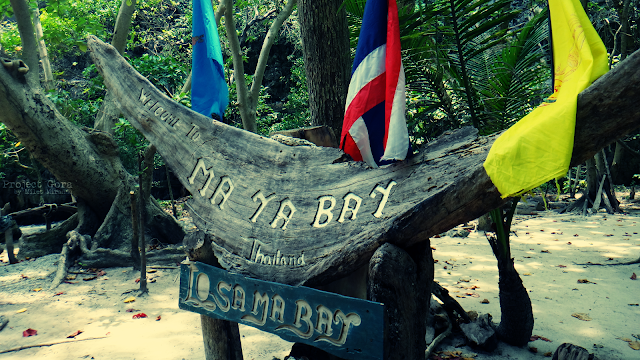 If I have extra 3000 THB in my pocket, I could have availed the Maya Bay Camping tour. When I got my DSLR, I thought I would be happy with a kit lens. I was happy with the quality of photos and videos I got. However, there were times when I think it could be better if I have a better lens. You see, humans can never be satisfied. But I guess that is normal. If a person is perfectly content with the state of his affairs, then he would have no desire to change things. I mainly use my camera for travel and landscape photography, so I thought of getting an ultra wide angle lens. I am a DX user (poor man's FX), and UWA lens can help me capture the expansiveness of a certain attraction. But I am also aware that UWA lenses are expensive. It would cost an arm and a leg (and my sanity). I do not have the funds yet so I will save it for Christmas. For now, I'd like you to meet my first ever prime lens, Primrose. UWA Lens and prime lens are included in my bucket list. Because of its affordability, I decided to buy Primrose yesterday. As of May 2013, the price of Nikkor 35mm f/1.8G AFS at Henry's Professional is 9,400 php (cash). I feel great to have it because it's another thing crossed out in my bucket list. Why Nikkor 35mm f/1.8G AFS? I spent months reviewing this lens. Based on forums, it is perfect for low light situations, travel and portrait photography. It has a maximum aperture of f/1.8 which provides complete depth of field control. It is perfect for beginners like me.